I just love the simplicity of Rink Rat. Just 12 products that all use just one emblem simply laid out with minimal fuss.If ice hockey or inline roller hockey is your thing then I’m sure you could do worse than kitting yourself out with some of this gear. I particularly like the Distresses Military Hat and the Destroyed Tee Shirt . 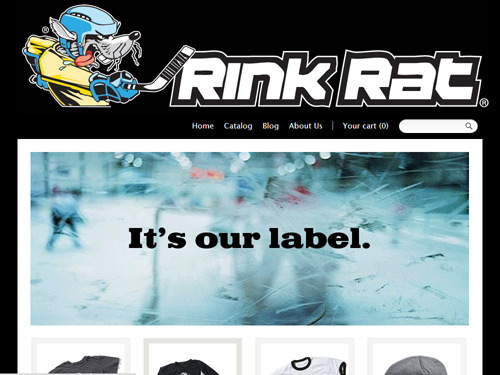 Revisit the website cataloge… Many more produts and many more to come including accesories/sports. We did not leave out the goalies or Womens apparell. More to come for everyone.